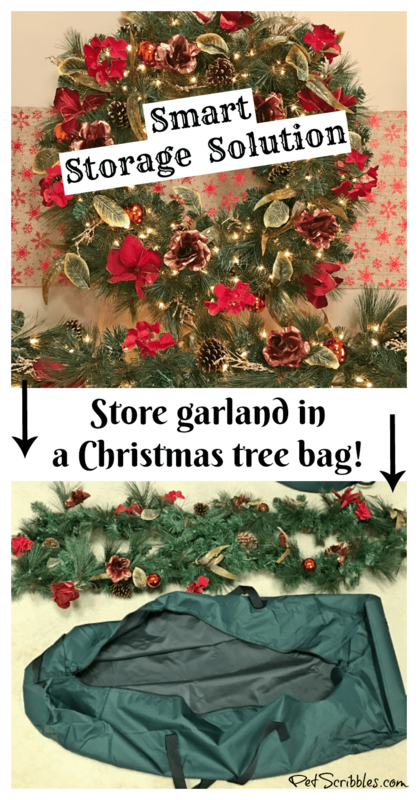 A smart and simple solution: store garland in a Christmas tree bag! 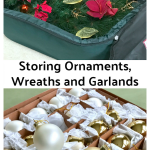 Such a fabulous idea, especially since I was shoving my garlands into garbage bags in previous years. 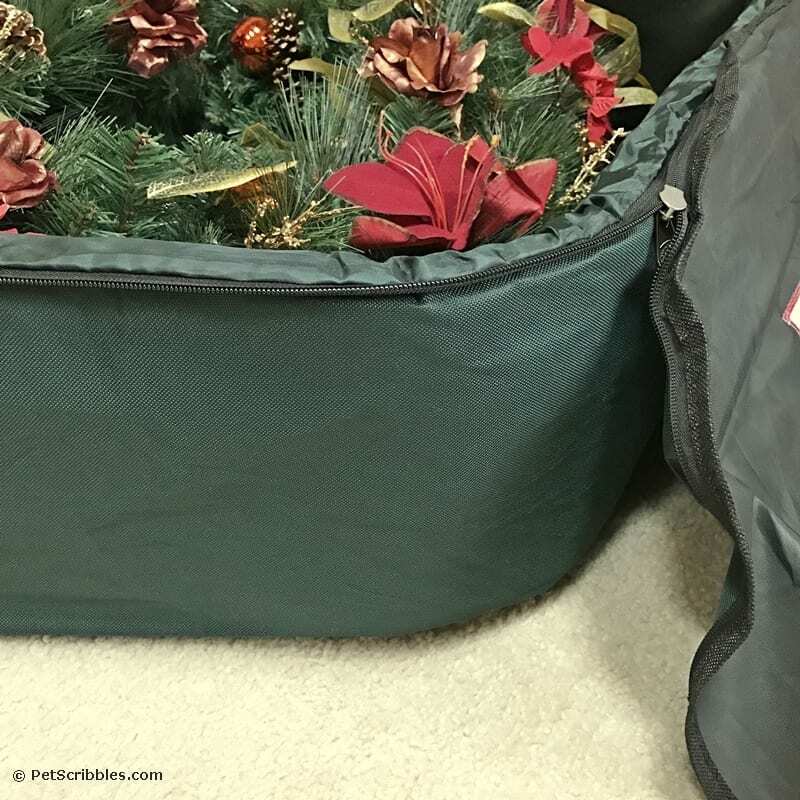 Now that I’ve tried actual Christmas storage bags I’m totally hooked! Doesn’t this scene look so cozy? 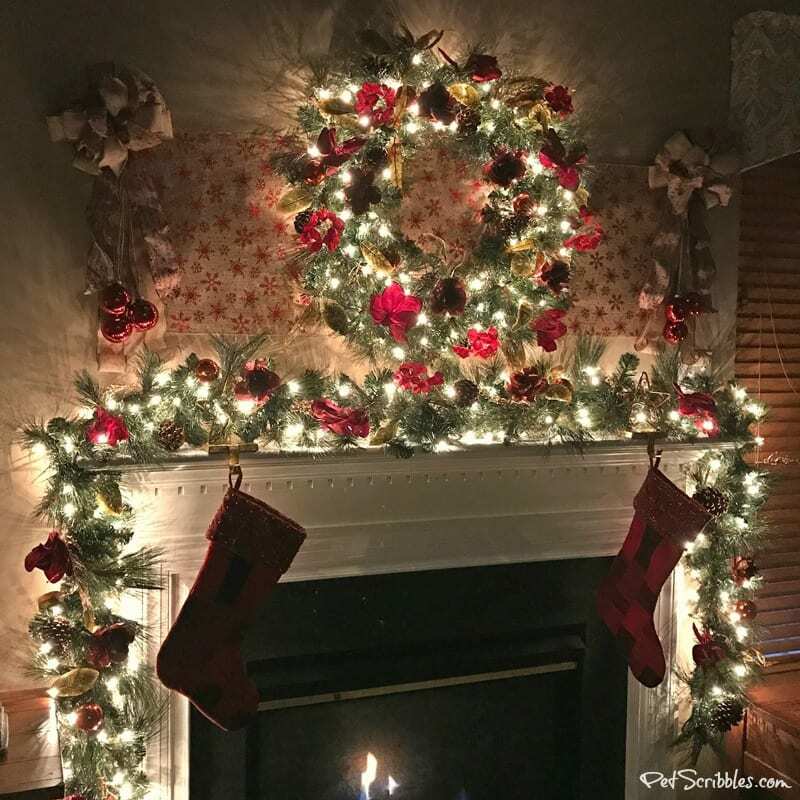 I shared how I created this mantel decor last month with the help of Tree Classics. 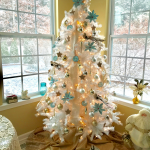 This was one of my favorite spots during the holidays to relax, but now it’s time to take the decorations down for another year. And I have a brilliant storage idea to share with you! 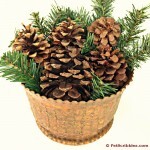 But first, it’s time to put away the gorgeous wreath. 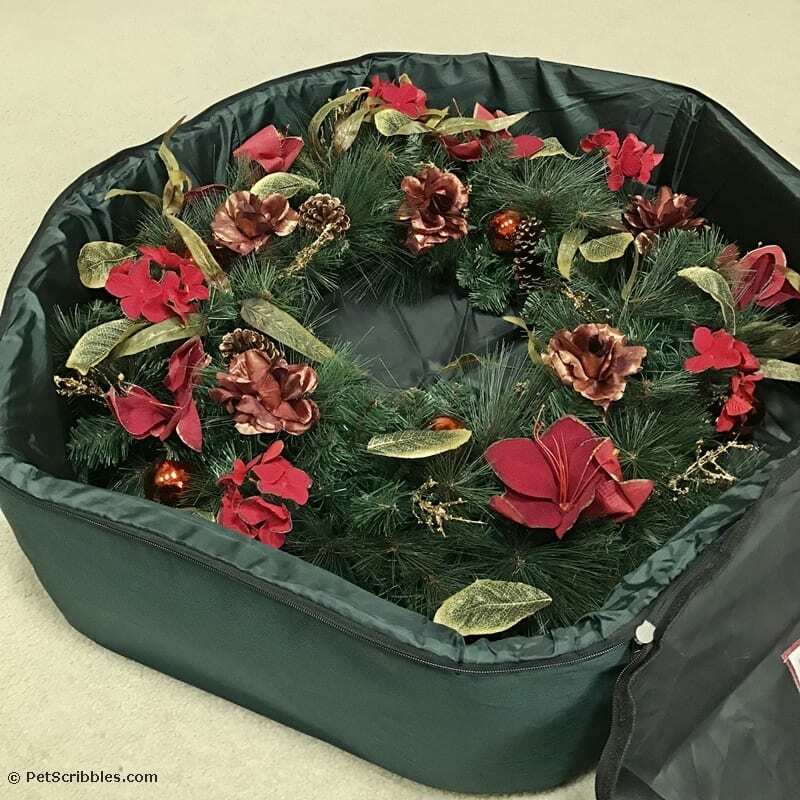 This wreath is large, 34″ in diameter, and Tree Classics wreath bag is a wonderful 36″ in diameter. Notice the arrows in the above picture. 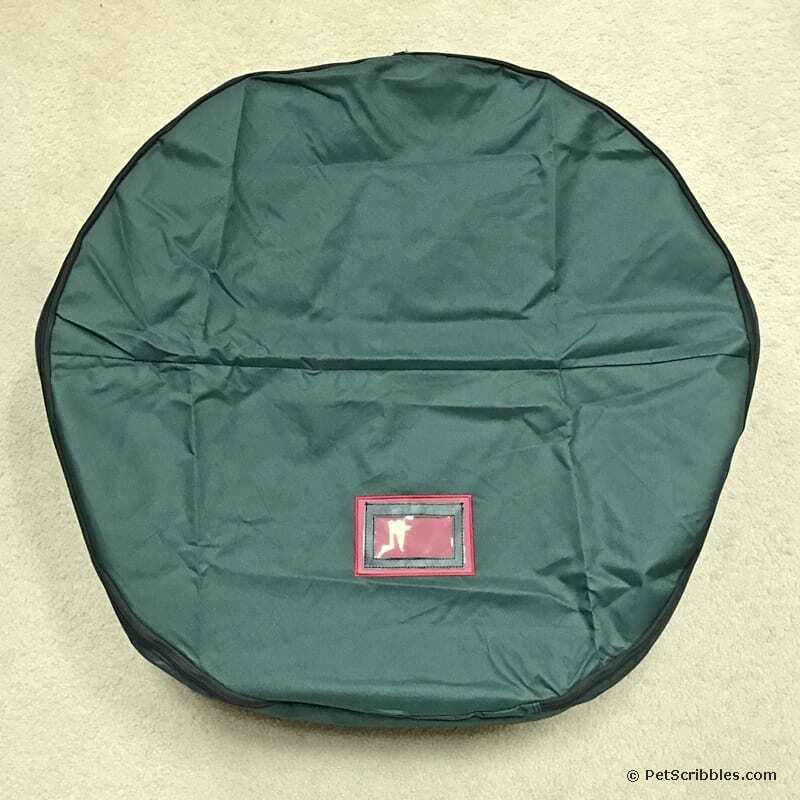 They point to the ultra sturdy wreath hanger, which is a brilliant feature of these bags. 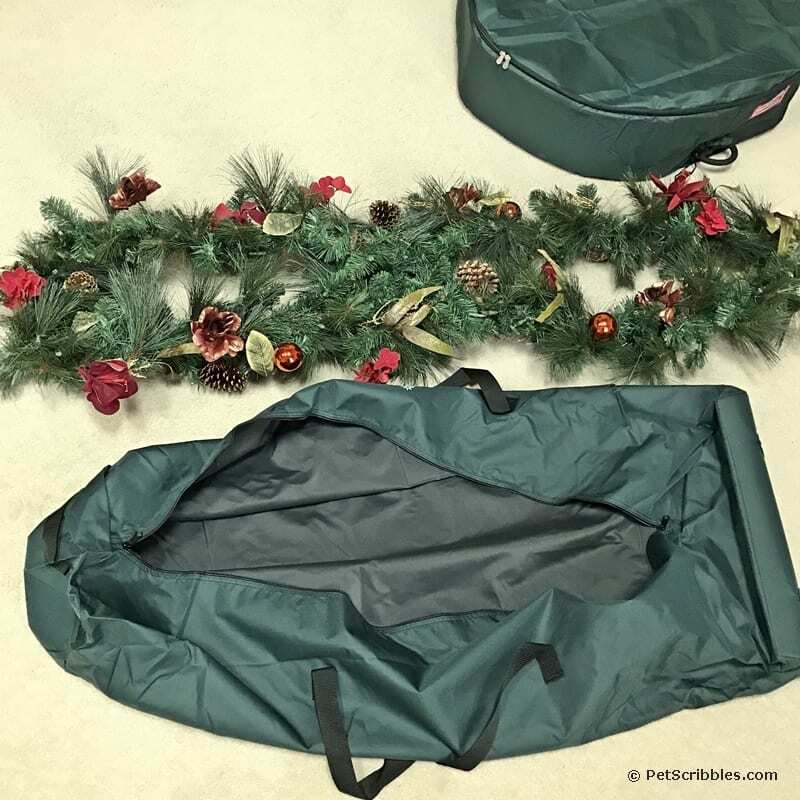 The wreath hanger clips onto the back of your wreath, enabling you to keep your wreath hanging up for easy (and out-of-the-way) wall storage. Or you can hang it in a closet. 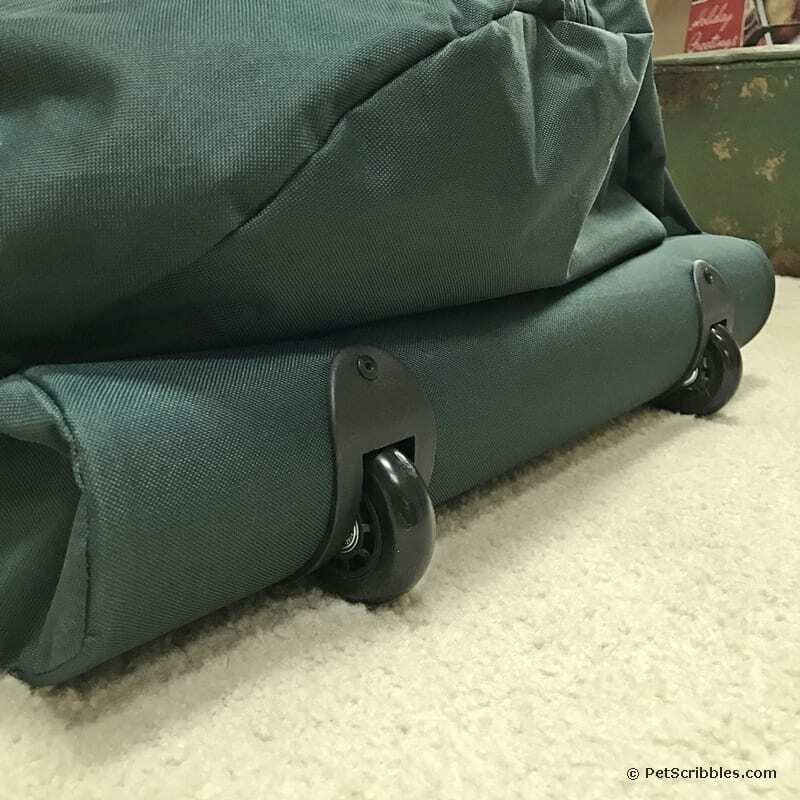 And I love the padded walls on this storage bag too! 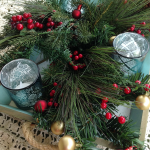 Here’s the wreath hanger I mentioned earlier, sticking out of the top opening, designed just for this purpose. 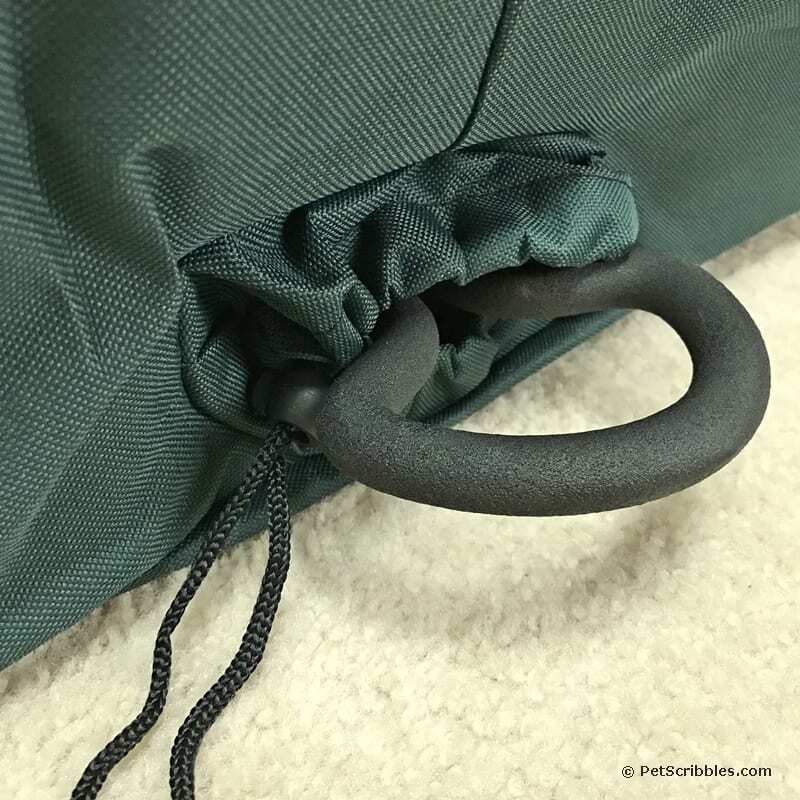 You pull the cord to gather the fabric around the opening, so no dust will get into the storage bag. Then just hang it up! 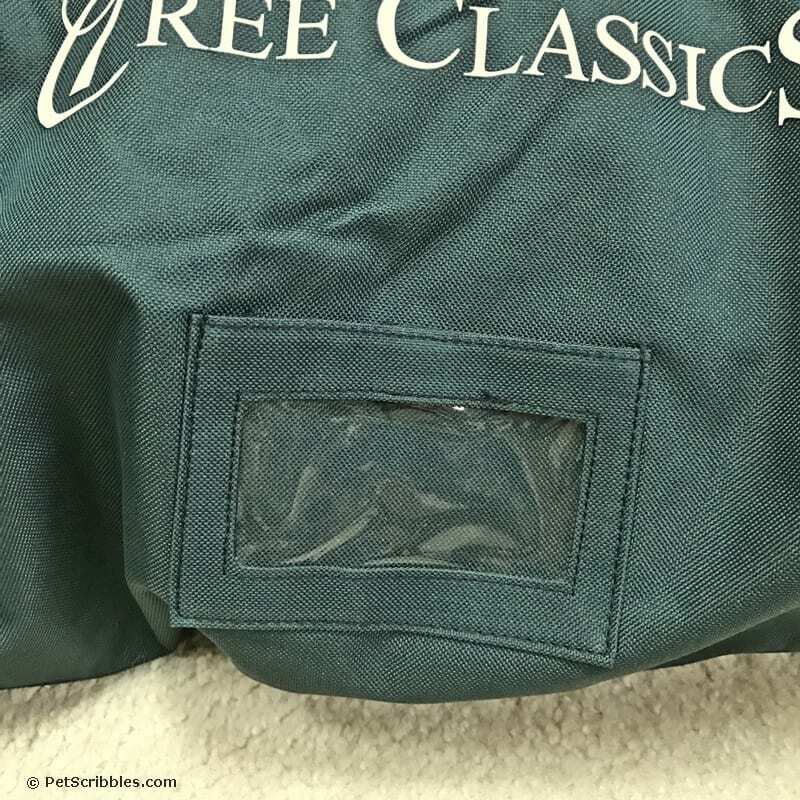 Here’s the bag all closed up. Notice they even include a handy label holder, so we can keep track of which wreath is for which part of our house. 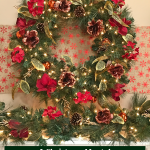 This is very handy for those of you who display multiple wreaths on the outside of your home! And now we’re on to the best idea ever! 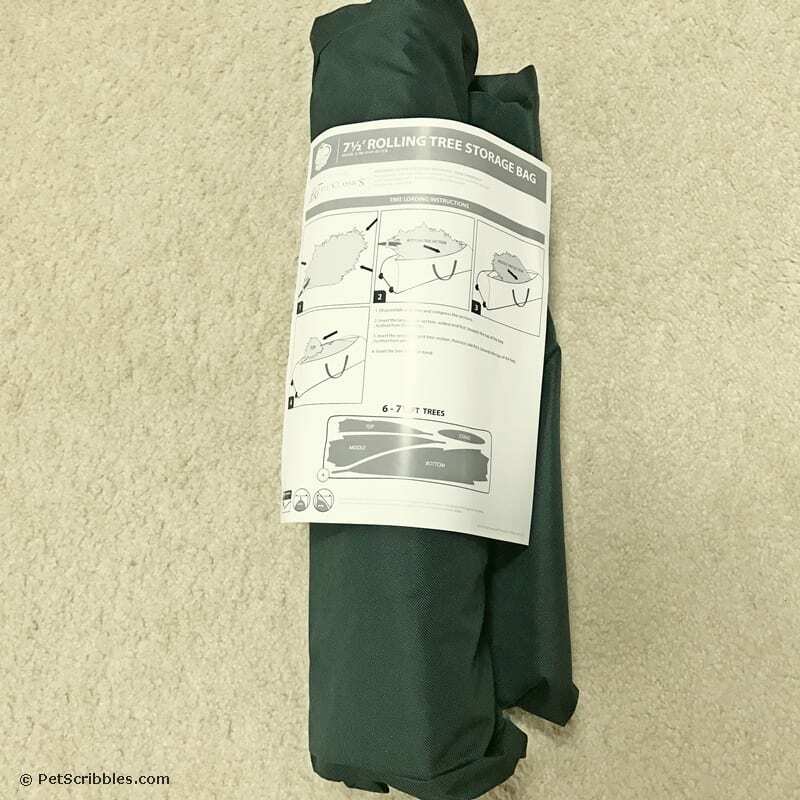 Again, here is what the small Christmas tree storage bag looks like when when you take it out of the shipping box: nicely compact and rolled up with helpful directions. 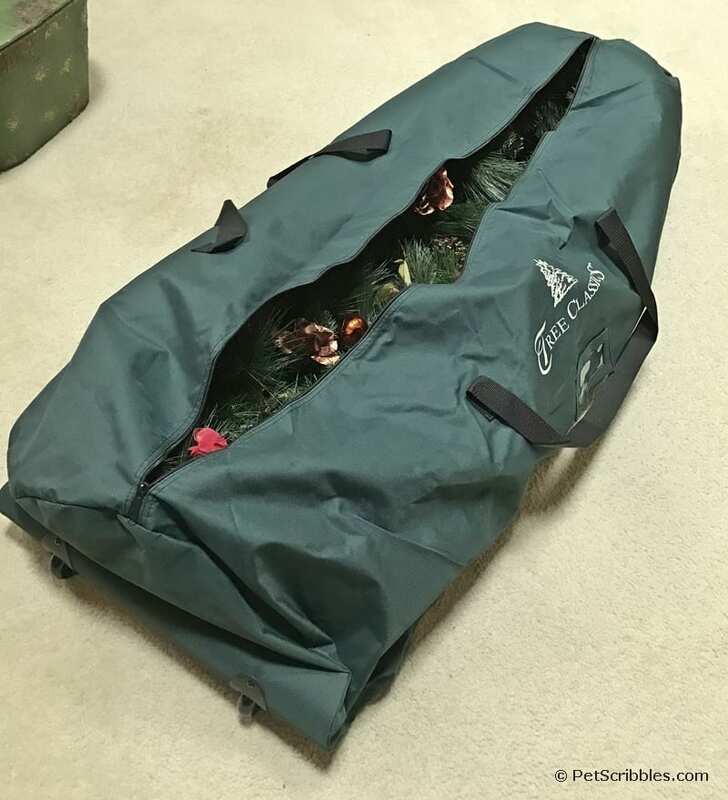 We were able to gently fold up the garland (above) then simply put it into the Christmas tree bag. 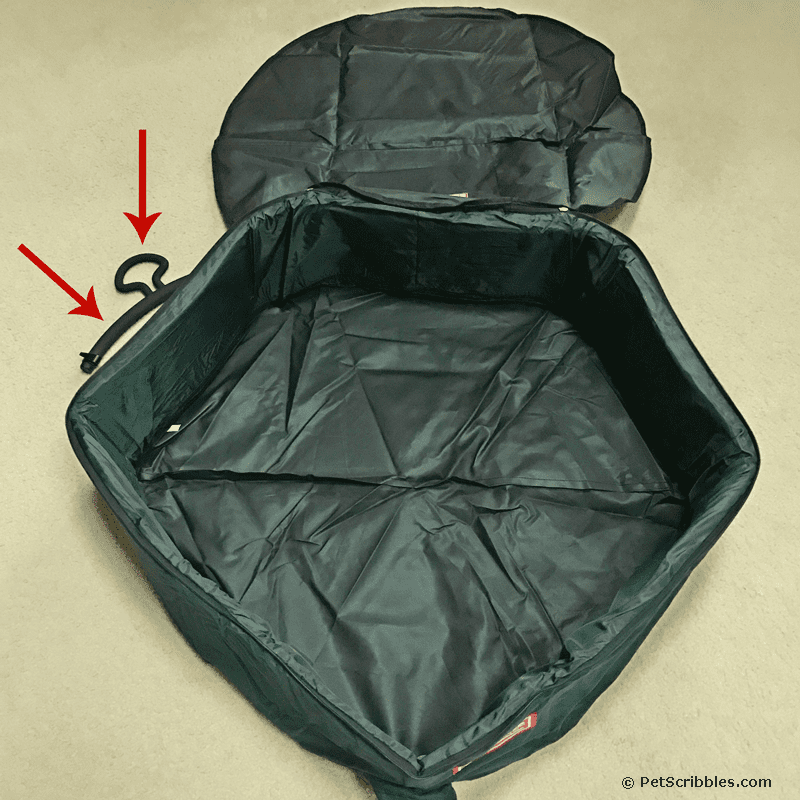 There is a good amount of room inside the storage bag, so your garland can stay fluffed out. 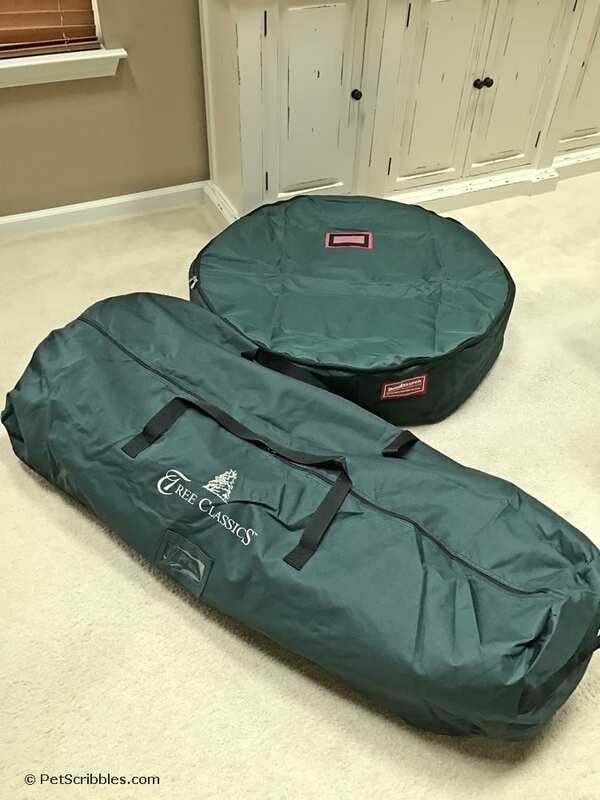 And just like the wreath storage bags, these tree storage bags have a label holder, which is super great to keep track of which garland goes where! 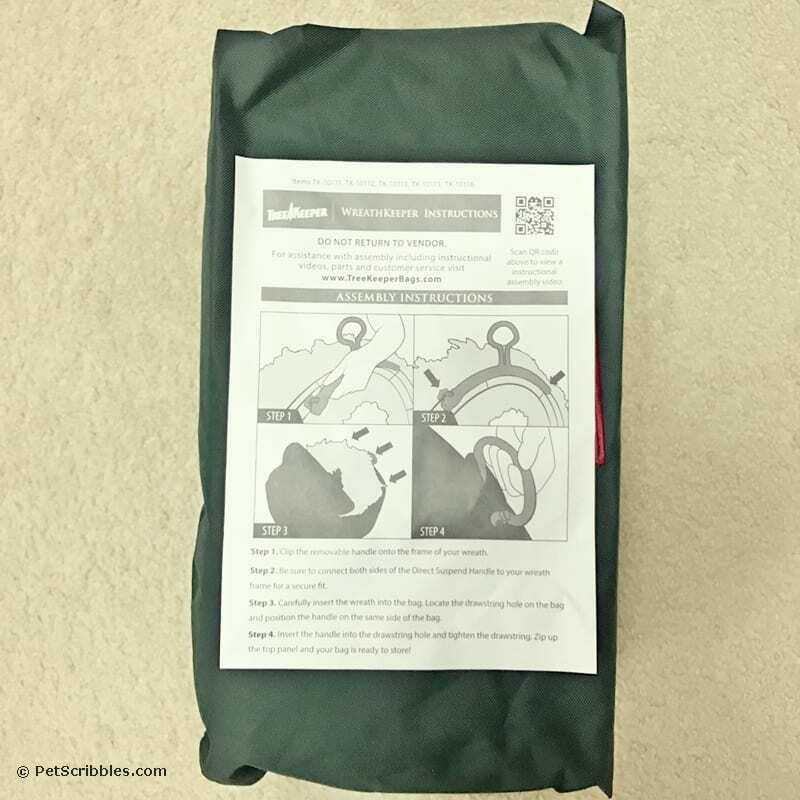 By the way, these tree storage bags have wheels! 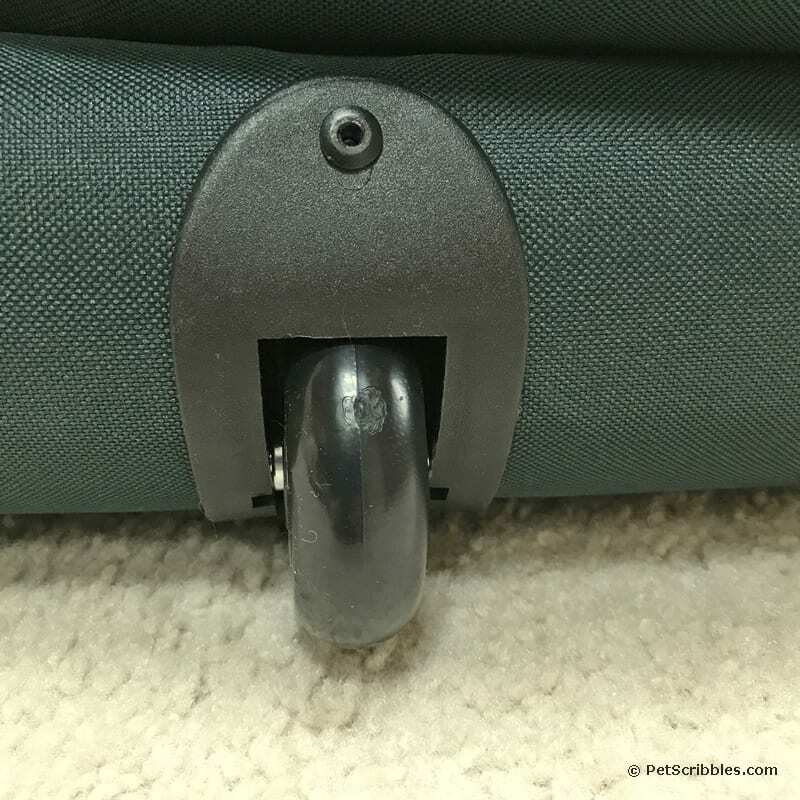 Just look at how sturdy the wheels are! 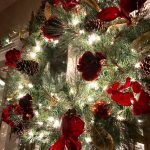 And just like that, our mantel wreath and garland is packed up and ready to go into our basement! 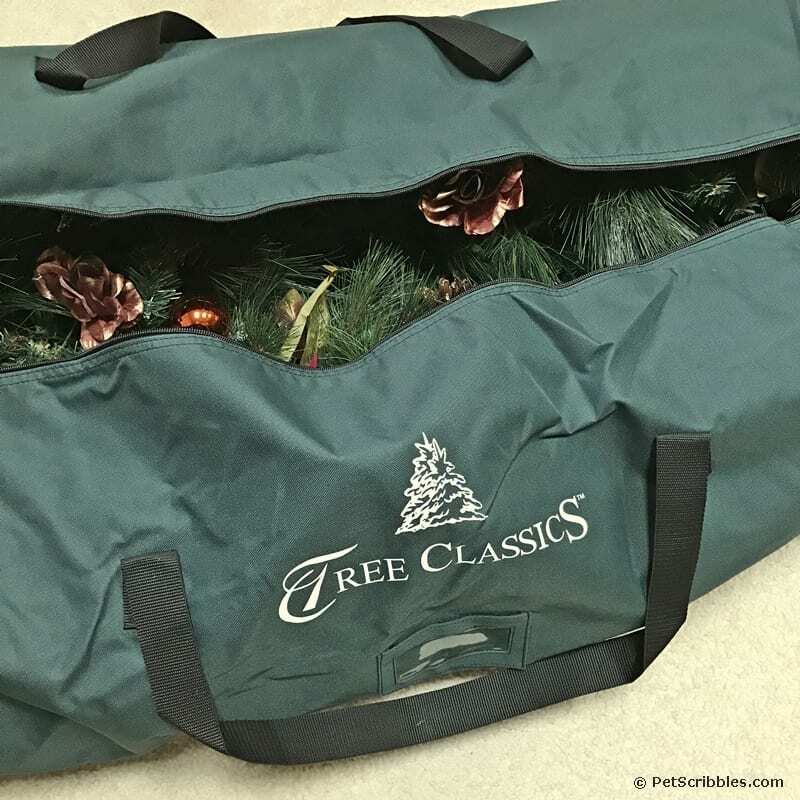 Check out Tree Classics for their complete selection of storage solutions!